Some parents assume that a child as young as two can’t learn how to read. But that’s not true. If your child can talk and has a wide variety of words that he understands such as cat, bye-bye, dog, ball, then he can learn how to read. It is possible to start teaching a toddler to read. The reason he’s capable of this is because even at such a young age, children are still able to grasp the fundamentals of phonics and can learn how to associate letters and vowels with their respective sounds. I started teaching my son Kaden to read when he was 2 years and 3 months old. What helps a child at this age learn how to read is the material that you get for her. A kid at this age can recognize and sound out small words if you teach her, but she’s likely to have difficulty with complex words at this age. I’ve listed 7 ideas below on how to teach a 2-year-old to read. Check them out and see if you can apply any of these to your activities with your kid! 1. So you want to keep the materials that you choose short and simple. Make sure that there are simple sounds along with two and three letter words. Save bigger words and compound words for when they’re a little older. Keep it simple for now. Recently, I’ve shared some book ideas for 2-year-old boys and girls. 2. Rhyming books are great for 2 year olds. That’s because a child at this age can grasp similar sounding words very easily. Rhyming words sound more fun and catchy too. You also want to use books that incorporate songs because 2 year olds learn to link words that they hear to words that they see. 3. Get some story board books or novelty books. Those specifically written and illustrated with toddlers in mind are some of the best books that you can buy for your child. Look for books that focus on stories that teach the ABCs. Kaden loves the alphabet since he’s 2. He’s still enthralled with books that features the ABCs, and he’s 3.5 years old now. 4. You’ll also want to look for books that tell stories about farm or zoo animals. The reason for this is because these are usually simple to read books as well as being highly colorful. A great way to introduce the young one to the animals, especially if you’re living an urban life where nature and animals are usually far out of sight. 5. Keeping the attention of a 2 year old when reading is a lot easier than you think. Books that allow a toddler to interact with the story help her to learn the words. For example, you can find story board books that use a lift-the-flap style. So as your child reads about a dog, cat or other animal, she can lift the flap and find the animal there. Kaden had a few of these books passed down from his older cousins and he’s kept busy lifting up the flaps to see what’s underneath. 6. As you’re helping your child learn how to read, make sure that you’re also interacting with him. Questions, such as, “Can you point to the yellow duckling?” or “Where’s the brown teddy bear?” help improve your child’s ability to grasp what he reads. That sets him thinking a little and aids in building reading comprehension. 7. You want to use every opportunity to reinforce reading for a 2 year old. Besides using large alphabet blocks, you can also use bathtub toys that can aid in reading. Bath toys like letters can be used to spell out words for your child to read while she’s taking a bath. Since toddlers love to play in the tub, you’ll also be helping her to learn that reading is fun. I hope the above simple tips would give you some ideas to try out when teaching your 2 year old to read! 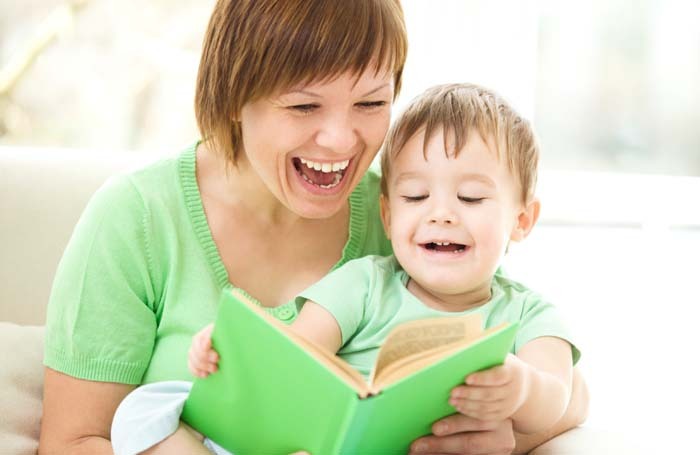 What’s your favorite way to teach your toddler to read? 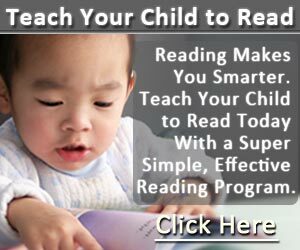 Write a comment here so we can all have more ways in teaching very young children to read!